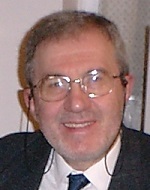 Luigi Lugiato, author of Nonlinear Optical Systems , 2015, is Professor Emeritus at Università dell'Insubria, Como, Italy. He has received numerous honors as a result of his many pioneering contributions in nonlinear optics and quantum optics. These include the Albert A. Michelson Medal of the Franklin Institute, the Quantum Electronics Prize of the European Physical Society, the Max Born Award of the Optical Society of America and the Fermi Prize and Medal of the Italian Physical Society. He is member of Academia Europaea and a Fellow of the Optical Society of America, the American Physical Society and the European Physical Society.